How to keep Google Happy! 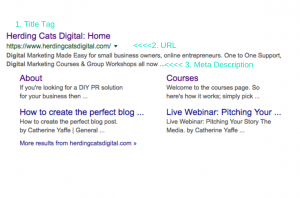 Following on from the brilliant SEO Made Easy Masterclass with Kate Toon, Kate highlighted 7 ways to keep Google happy. There are actually about 200 things that Google looks for when it’s indexing your site but if you start with these basics you’re bound to see an improvement. The wording underneath the title tag and URL. 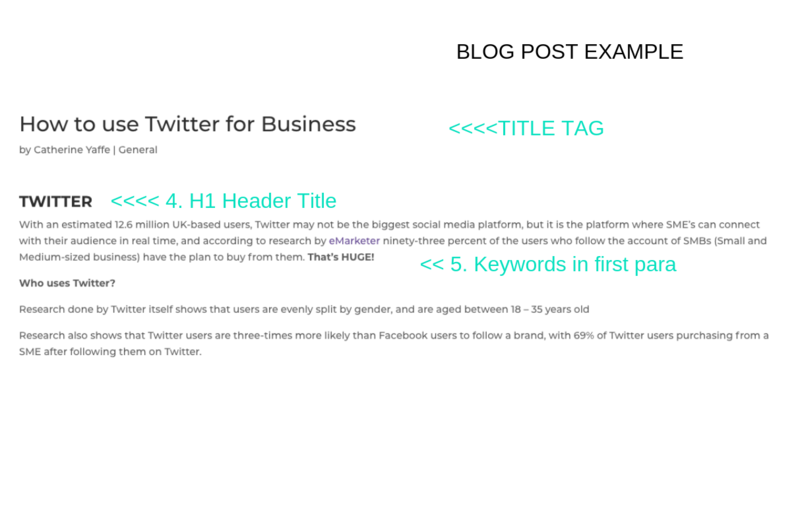 It should summarise the page content Search engines show the meta description in search results mostly when the searched-for phrase is within the description, so optimising the meta description is crucial for on-page SEO. 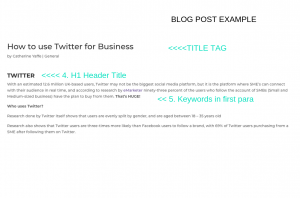 Using your keywords within the first 100 – 150 words of the page or blog post will let Google know that the page ties with the title and that the content is relevant. Don’t forget that people search by image too, so by changing the Image File Name when you upload to your blog, web page or catalogue you’re again letting Google know that this content is relevant to your website. When someone rolls over an image, the alt text will appear showing what the image relates to. It’s good for when certain browsers block images or for those that have issue with their sight. Don’t expect to get to page 1, position 1 overnight, there are many other things that effect rankings such as slow loading or technical errors but implementing these tips as standard practice is a good place to start.